The following Terms and Conditions apply to the use of Gem Bags. By accessing this website and/or placing an order, you are subject to the following Terms and Conditions. 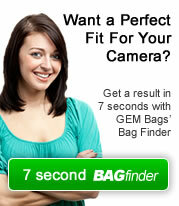 Use of Gem Bags is an acceptance in agreement of these Terms and Conditions. 1.1:	In acceptance of the Terms and Conditions you are permitted the use of all search facilities within Gem Bags and to access all products within the site. d) the product has been sold/passed on to a third party Any goods that are damaged in transit on return to Gem Bags due to poor packaging or lack of care on your behalf will not be refunded and will be returned to sender. Please ensure all returns are packaged to the same level as when initially received. We require all original manufacturer /branded packaging to be enclosed. 4.4:	Some of the items available from Gem Bags will be delivered requiring a signature upon receipt. Prior to signing for goods we ask that you check that the goods are both undamaged and that all goods are in the consignment that should be. Signing for the goods is an acceptance that everything in the delivery is as it should be and undamaged. If your order is being sent to a work address please ensure that the person signing for the goods on your behalf if not yourself is aware of what needs to be done on the arrival of the delivery. If you inform us of damages or shortfalls after signing for a consignment it makes it extremely difficult to make a claim from the couriers and some couriers will not accept liability. Claims for damages and shortfalls will be processed within 48 hours.